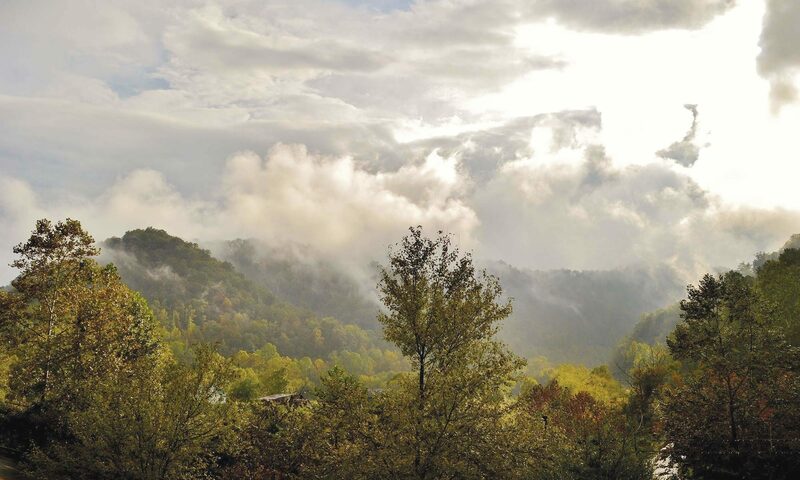 Want to a full Appalachian outdoor experience for one low price? Book a Zip, Paddle & Saddle adventure for only $69! 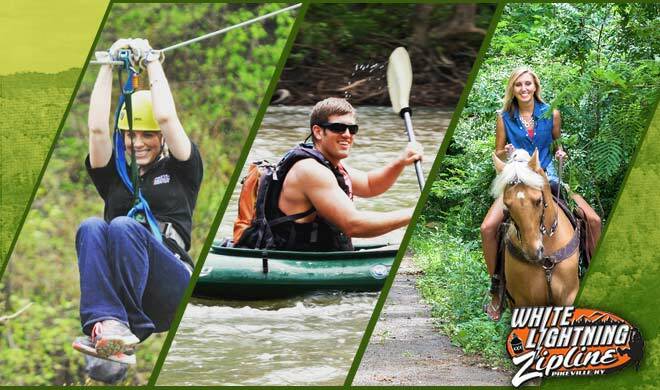 From ziplining in our beautiful Appalachian mountains, to horseback riding on our scenic horse trail and kayaking on the quiet Levisa Fork River, the Zip, Paddle & Saddle package covers everything you need for an outdoor adventure trip. Friday 3:00 p.m. to 6:00 p.m.
– Zip line rides in all weather with the exception of lightning and high wind. If tour must be cancelled rain checks will be issued. – Maximum weight is 250lbs. – Minimum weight is 70lbs. – The minimum age is 8 years old. – Closed-toed shoes are required. – Riders under 18 must be accompanied by parent or guardian. – Riders must follow all posted safety rules and regulations. – No one under the influence of alcohol or drugs will be permitted to ride. – Riders must be in good physical health and will be required to walk and climb steps. Click here to book your Zip, Paddle & Saddle trip online. You will get wet with this trip, lockers are provided to lock valuables in. Cancellations shorter that 48 hours will not be issued a refund. Friday, Saturday, Sunday 8:30 a.m. – 5:00 p.m.
Departure will be from Thompson Road River Ramp (behind Texas Roadhouse) on the hour, every hour. Shuttle services are available for those who aren’t renting, with a flat rate fee. How far in advance do you have to purchase the zip, paddle & saddle trips. there is a green “check availability” button that should take you there. Could you send me more information. I have a written medical permission, notarized, for my great nephew, who is visiting me and I would like to take him on a zip line. He is 14. Can you accept that as proof that I can approve this activity since I can make other critical decisions? Hey Beth, you would want to contact the zipline for that information. You may wish to contact the zipline office at 606-444-5131. Is lunch included for the zip, paddle, and saddle trip? Do you have to purchase the combination package or can you purchase one event separate such as horseback riding? How long does it take to do all three activities? It takes approx. 6 hours. Is the zip, saddle, paddle going to be available in 2016? The brochure I have is from 2015. Do you have current material that can be emailed to me for a June family vacation? Certainly. Send an email to my address at marketing@tourpikecounty.com and I will reply with some information for you. You may wish to contact them for that concern.